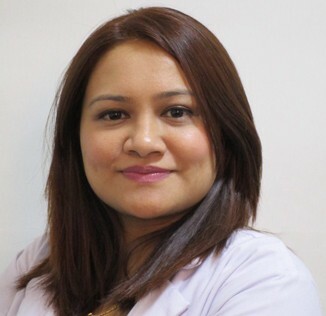 Consultant Dermatologist, Norvic International Hospital Thapathali, Kathmandu July 2016 to present. Medical Officer Dept of Gynaecology & Obstetrics Paropakar Maternity and Women’s Hospital Thapathali, Kathmandu, July 2008 – July 2009. ‘First Hair Restoration Workshop, Nepal’ Dhulikhel Hospital, Kathmandu Nepal April 21-22, 2016. Hands on training on “Lasers, Botox, Micropigmentation & Mesotherapy/PRP”, Cutis Skin Studio Mumbai, India October 13-17, 2015. Workshop on: “Basics in Nail and Dermatologic Surgery” Makati Medical Center Makati Medical Center September 6, 2012. 6th PDS Dermatopathology Review Course and Advanced Interactive Sessions ,RITM, Manila, Philippines ,May 12 and 13 2012. Evidence-Based Medicine: Basic Workshop Glaxo-Smith-Kline Auditorium Manila, Philippines September 7 - 8, 2011. Philippine Dermatological Society Good Clinical Practice (GCP) Workshop , Research Institute of Tropical. Medicine (RITM), Manila ,Philippines July 27-28 and August 3-4, 2011. Basic Life Support Training- Healthcare Providers, JRRMMC, Manila, Philippines March 28-19, 2011. Syndromic Case Management Training Kathmandu, Nepal (August 2009), Organized by- Human & Development Action Supported by- UNDP Ministry of Health & Population National Centre for AIDS & STD Control. Post Partum IUCD, Kathmandu, Nepal (May 2009) Paropakar Maternity and Women’s Hospital. Training on VIA, VILLI Kathmandu, Nepal (May 2009) Paropakar Maternity and Women’s Hospital. Comprehensive Abortion Care (CAC) Nepal (April-May 2009) Paropakar Maternity and Women’s Hospital. Thankyou for the query. We will respond to you as soon as possible.